Sheehan World publisher Kathy Sheehan is sad to announce that her roomy, dependable, fast cruising sailboat, the mighty HoriZEN, is up for sale. "They say the two happiest days of a sailor's life are the day she buys a boat and the day she sells it, but that is total BS," a sobbing CaptKathy said. This 1983 Catalina has given us nearly 10 years of cruising pleasure in the San Juan and Gulf Islands and hours of fun on Thursday night racing in Bellingham Bay. 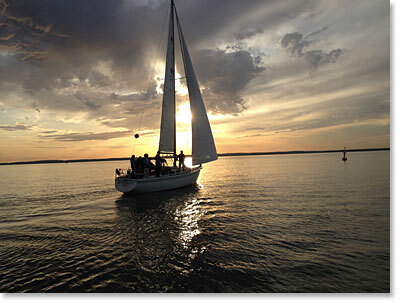 But it's time to let go of this reliably zen sailboat and sail on OPBs (other people's boats) for a season or two. "We won't be completely boatless in Bellingham," CaptKathy added. 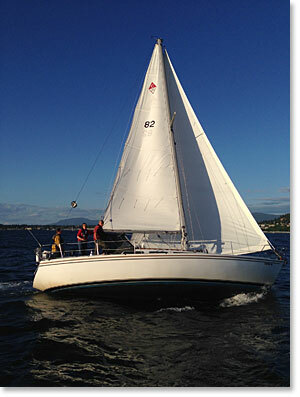 Interested in buying this Catalina 36 sailboat? A 50% share with one of the partners and/or an inflatable dinghy may be optional investments. The mighty HoriZEN is berthed in Squalicum Harbor in Bellingham. She has a mainsail and 150% jib with foam luff and UV protection (both new in 2013), plus a 25HP Universal diesel engine with 3500 hours on it. She is loaded with navigation and safety equipment: a Garmin GPS, Digital Selective Calling (DSC) VHF radio, two regular hand-held VHF radios, Ritchie compass, a barometer, a reliable depth sounder, knot meter, radar reflector, and life sling. On deck, there is a small teak table and drink holders in the cockpit and ample room for six or eight passengers. She has four Lewmar winches, including two for the jib sheets that are self tailing, and a 15-kg Bruce anchor with 20 feet of chain and 200 feet of line. Fore and aft lockers each contain a spare anchor, and a swim ladder is off the stern rail. There	is also seating for two on the stern rail. Step inside the cabin to find a smartly appointed salon with generous standing headroom, full galley and head, and accommodations for up to six adults plus two children. 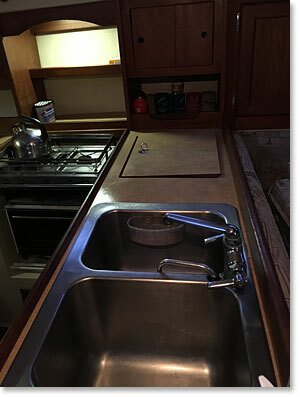 Galley has two deep stainless-steel sinks and a hot-water heater (fed by three water tanks), a refrigerator/freezer, Plastimo Neptune propane oven with two top burners, and lots and lots of cabinets, drawers and storage space. Navigation station: Chart table and full electric panel with battery charger. Main salon: Natural light streams in from six curtained windows and a deck hatch during the day. 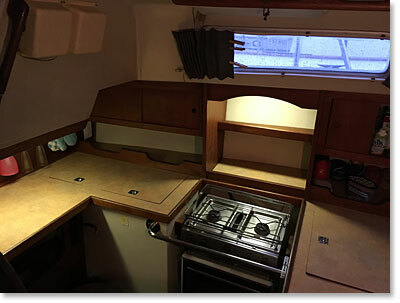 Dining table drops down to make a double bed; small game table drops down to make a small single berth; propane Dickinson Newport cabin heater; and Blaupunkt AM-FM radio with CD player. An inverter behind the upholstered cushions allows you to charge your cellphones. V-berth: Extra long bunk for you and your matey to wrinkle the sheets, a hanging closet, cabinets, lots of shelf space, and a privacy door closing off the main cabin. 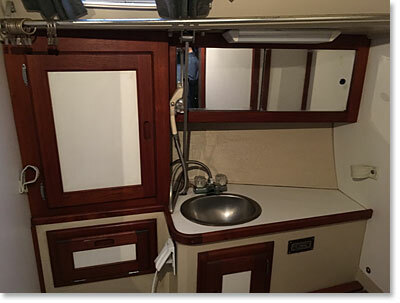 Aft berth: One double and one single bed with small closet and a window into the cockpit. 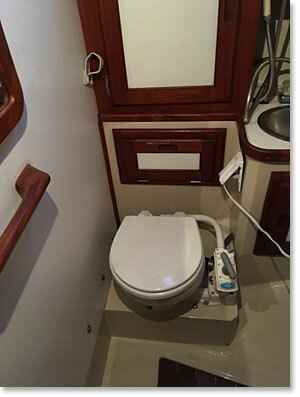 Head: Small sink, shower with sump pump, hand-pumped Jabsco toilet connected to a holding tank, and more storage. 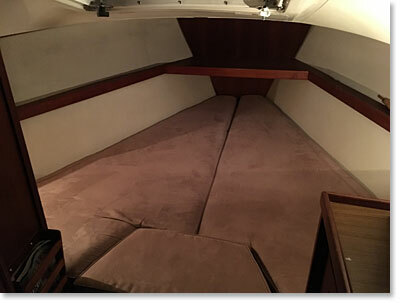 Miscellaneous: This Catalina has fiberglass hull #82 from the first year that Catalina began selling 36-foot models. 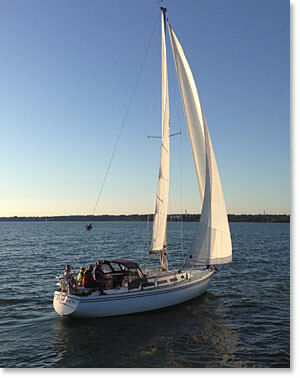 She has the standard rig with a lead fin keel. 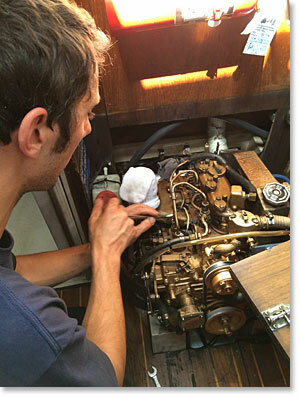 She has a 33-gallon fuel tank, two power cords, marine barbecue, 3 water tanks, bosun�s chair, 5 fenders. Two of three batteries were new in 2013. Survey report from 2016 available. Be ready for February and spring sailing in 2018! Don't be boatless in Bellingham for a day longer! 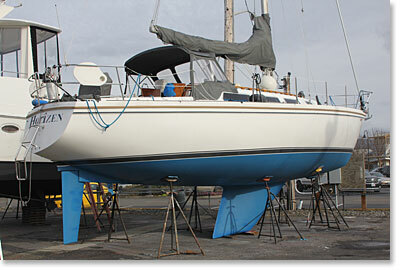 Make an offer on this Catalina 36 today. Publishing #FakeNews since before it was cool.